Police are appealing for witnesses to a late-night incident in Burgess Hill when a teenage girl was arrested on suspicion of public order offences. 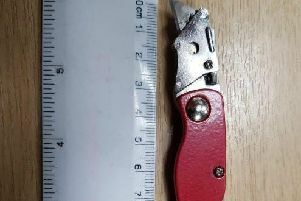 Officers were called to Church Walk just after 10.15pm on Friday, February 9, near the junction with Church Road, where the 13-year-old girl was standing outside the Six Gold Martletts pub, said police. A Sussex Police spokesman said: “An altercation took place between the girl and some people leaving the pub, and she was arrested on suspicion of using racially aggravated abuse and threats, using threatening behaviour, and possession of an offensive weapon – a plastic bottle of bleach. People can call 101, quoting serial 1330 of 09/02.